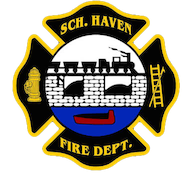 November 23, 2010 – At 11:50 the Schuylkill Haven Fire Department Rapid Intervention Team (RIT) was dispatched to 515 South 3rd Street, Hamburg for a commercial fire. Crews arrived on scene and stood by for approximately 3 hours until being released by Hamburg command. Chief 723 (Donatti) was in command. Pics from MLK Photos coming soon.